Bedfordale’s Dylan Bailey in action. DYLAN Bailey’s tearing up the track with his athletic talents. 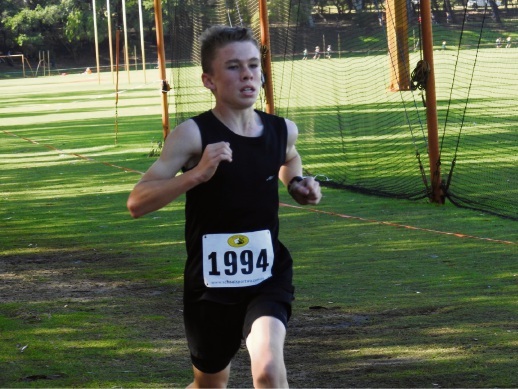 The 13-year-old from Bedfordale started with Little Athletics in Armadale when he was 10, and the sport’s been his favourite ever since. “He picked it up straight away, basically,” Dylan’s mother Tanya Bailey said. The teenager took out gold in the 1500m and silver in the 800m at the Athletics WA Championships this year, first place in the WA short-course cross country championships, silver in the state cross country championships last year, silver in the 1500m and bronze in the 800m state championships, and has qualified for national competitions in Sydney and Hobart. Dylan said competing in the big championships both here in WA and interstate had been exciting. “It was a good experience, competing on a big stage,” he said. His ultimate goal with athletics is to head to the Olympics to represent Australia in the 800m or 1500m. “It’d be a good experience, I’d feel really proud,” he said. Training six days a week, Dylan thrives on achieving a new personal best and making friends through the sport. “You get to hang out with friends and do something you like to do,” he said. Ms Bailey said it’s been fantastic to watch her son’s achievements. “The social part of training and athletics is a huge part in Dylan’s life,” she said.